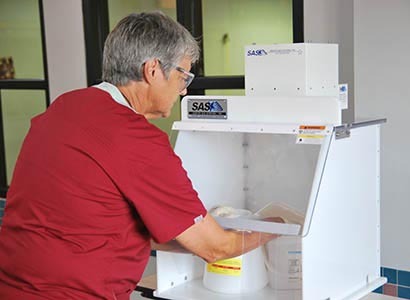 Sentry Air Systems’ Powder Containment Hoods are designed and manufactured to help pharmacists and professionals safely compound, measure, and weigh prescription dosages. Due to the serious health risks associated with exposure to hormones and powders involved in pharmaceutical compounding, respiratory precautions should be taken. Sentry Air’s pharmacy compounding equipment utilizes a powerful fan and filtration system that pulls harmful contaminants away from the operator’s breathing zone and directly into the HEPA filter, which purifies the air and redistributes it back into the room as clean air. Utilizing a portable ductless system conserves space and purifies air so that harmful particles are not distributed back into the air and environment, which would be the case with a ducted system. 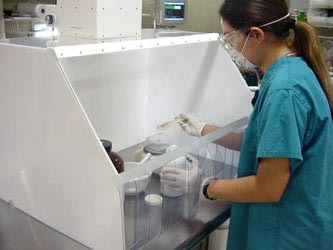 Pharmaceutical Powder Containment Hoods are designed specifically for powder containment applications, such as, powder weighing, capsule filling (tablet encapsulation), compounding creams, and a variety of other processes that require containment and filtration. This hood utilizes proper airflow and filtration of hazardous powders, dust and fumes in order to ensure a safe working environment and protect users from the adverse effects of inhalation. 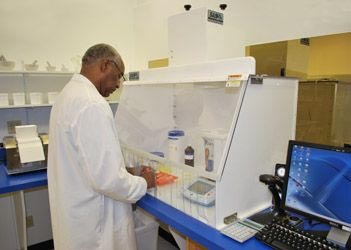 Our Pharmaceutical powder containment hoods provide users complete access to the applications and apparatuses used without the risk of contamination. 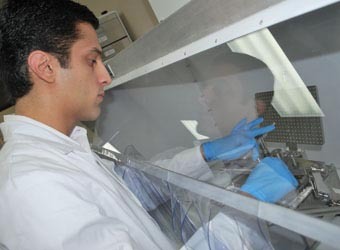 This line of pharmaceutical powder containment hoods are not intended for sterile compounding applications. 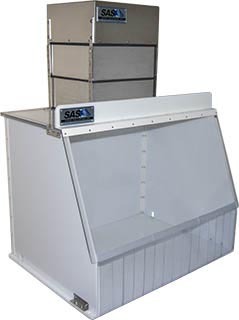 The Higher Efficiency Ductless Fume Hood provides a portable, energy efficient, and economical solution for pharmaceutical, commercial, medical, laboratory and industrial applications that require a containment hood. 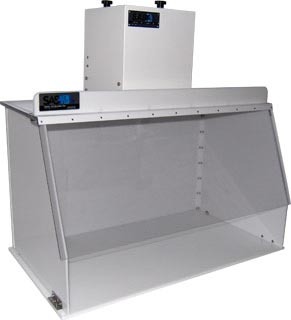 Typical uses for this ductless fume hood include pharmaceutical powder applications that require a dual HEPA filter setup. Alternative applications can include chemical fume control, soldering applications, light dust removal, biological applications, solvent or epoxy use, and many more applications that require the removal of fumes and particulate.